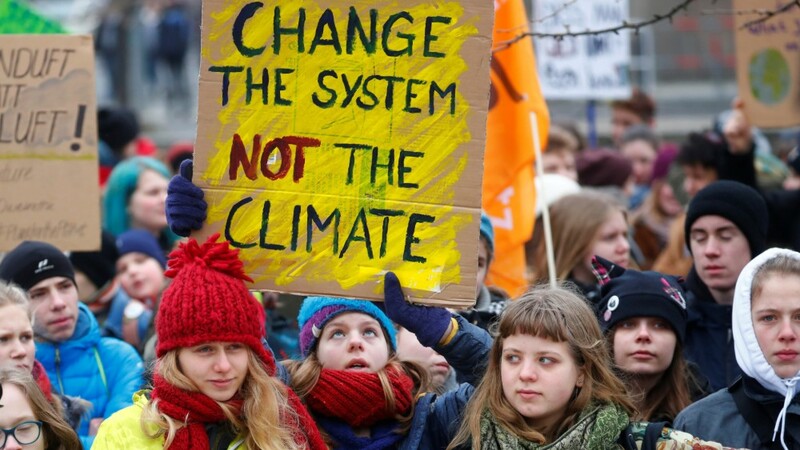 It’s already quite a movement: 300,000 young Germans took to the streets in mid-March demanding that governments around the world get serious about fighting climate change—and certainly the one in Berlin, where 25,000 pupils and students took to part. Right-wing tweeters call the movement’s 16-year-old Swedish initiator Greta Thunberg (due to attend the next rally in Berlin on March 29) the “saint of the climate religion,” poke fun at her mental health issues, or quip that her dad is a “failed actor.” Slander like this is the default behavior of the nationalist-right fringe. For the AfD, climate change is little more than a propaganda meme invented by the Greens to destroy German industry and force citizens to give up SUVs, Schweinebraten (roast pork), and flights to “Malle” (short for Mallorca). Christian Lindner, the head of the pro-business liberals (FDP) who likes to position himself as the gung-ho, free-market counterpoint to the head-in-the-clouds, tofu-eating Greens, took a patronizing tone toward the demonstrators. Speaking to the tabloid Bild, he began with the obligatory, “I find political engagement in school pupils great,” but then went for the jugular, “….one can’t expect children and youths to see all of the global interconnections, what is technically sensible and economically feasible. That’s for the professionals.” An odd comment coming from a man whose 2017 campaign posters screamed, “School bags change the world, not briefcases.” The slogan works better in German, but you get the point. Lindner, who spent his teens building a PR agency instead of protesting, isn’t a climate-change denier, but, like most on the right he is in denial about what it takes to solve the climate problem. It takes massive, rapid transformation in all sectors of the economy and society—from transport to energy to agriculture—not just “market-based carbon pricing” as he proposes. Viable technologies to reverse climate change exist. A hundred of them are listed at www.drawdown.org. But adult leaders are afraid to take the necessary policy steps. Their weak resolve has come back to haunt them in the form of children’s protests. A generation of supposedly coddled, Instagram-addicted brats has found its long overdue generational conflict. The movement is huge, with 1.4 million protesters heeding Thunberg’s call to take to the streets on March 15. This is nonsense, for two reasons. First, there is no “later.” The world needs to change its ways now. Climate change is already making itself felt in droughts, fires, floods, and storms everywhere. Second, to suggest the kids should protest on the weekend negates the whole idea of a strike. Steelworkers don’t usually strike on their days off to make a point, do they? Meanwhile, CDU leader Annegret Kramp-Karrenbauer (AKK) quipped that she wouldn’t write a note excusing her own children if they had taken part in the demonstrations. No mention that the children might have a point when they ask, “Why go to school if we’re being robbed of an inhabitable planet?” For what it’s worth, AKK’s approval rating has dropped to 36 percent, down 12 points since December 2018, according to the new RTL/ntv Trendbarometer. For AKK, Germany’s most likely next chancellor, it’s all about throwing a bone to AfD swing voters who can’t be bothered by this hippy-dippy climate malarkey. 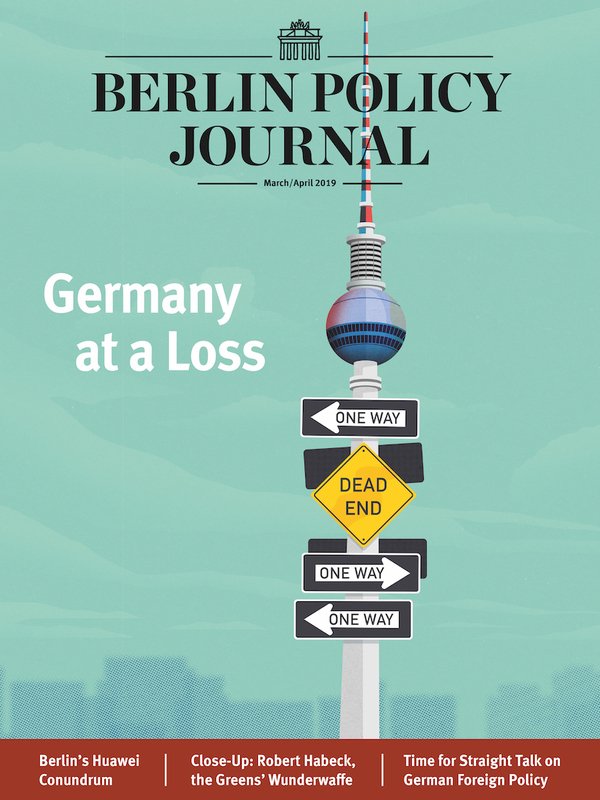 And for the more economically minded CDU types, she likes to warn that too much climate protection will lead to Germany’s “deindustrialization”, without going into much detail. Losing a Generation of Voters? 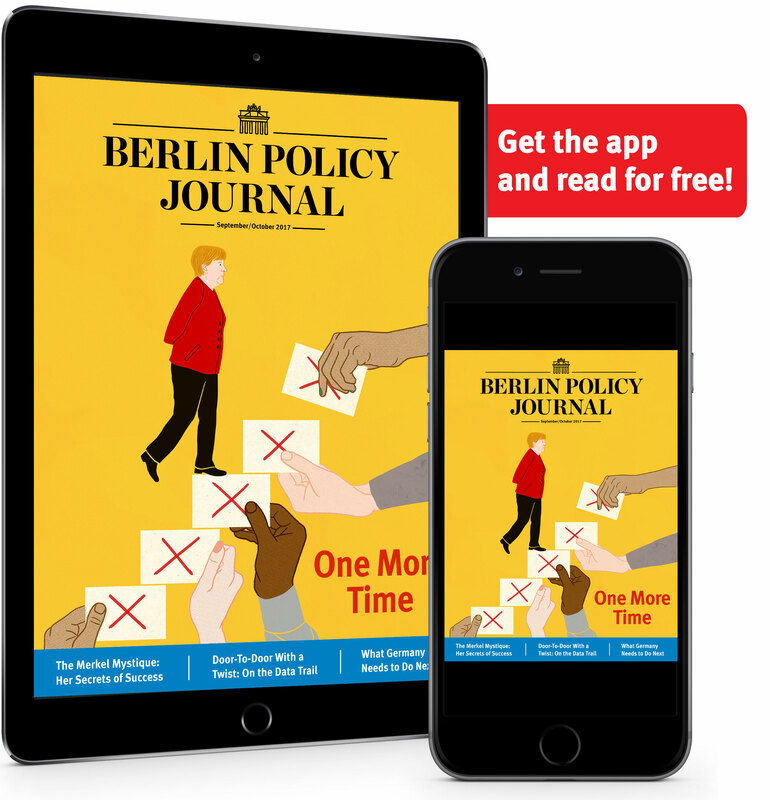 Eager to shift the CDU to the right, AKK has been waging a war of words against the centrism of Angela Merkel since she scored the top party job. By contrast, the still-chancellor, a physicist who understands the seriousness of climate change, said she “very much supports the pupils going to the streets to fight for climate protection. However… (there’s always a “however” with her), as head of the government I must point out that we have to think about a lot of things: we have to reconcile jobs and economic strength with the goals of climate protection. The phase-out of coal by 2038 might seem too slow for some young people.” This was Merkel “merkelling” along with her usual inoffensive vagueness. Not very inspiring, but at least sort of honest. The new radicalism of school children seems to have taken conservatives by surprise. These kids aren’t the unwashed, easy-to-ridicule tree-huggers of the 1970s. Nor are they the barefoot eco-warriors occupying the Hambach Forest to protect it from a coal mine. Led by Thunberg and a number of other serious young women around the world, they’re legitimately scared there won’t be much left of the world when they grow up. Conservatives should not bank on this movement fizzling out any time soon. Rather, they should heed the children’s call if they don’t want whole new generation of Green voters on their hands. is a freelance journalist, writer, and translator in Berlin.